- 8 GB RAM or more - Do not download this map if you have less than 8 GB RAM! 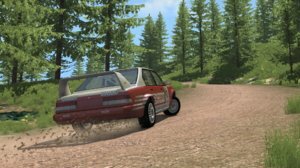 American Road is one of the biggest maps for BeamNG.Drive! It's 120 km^2 and hundreds kilometers of different types of roads! It can take you 40 minutes to drive around whole map! Map is very detailed and realistic! 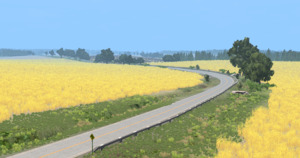 American Road map has a lot of features! Very long looped highways where you can drive 300 km/h almost all of the time. 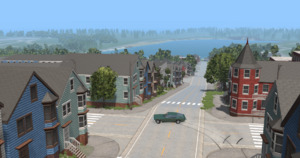 Roads with a lot of realistic corners with detailed background. A lot of dirt roads - it's perfect for rally! 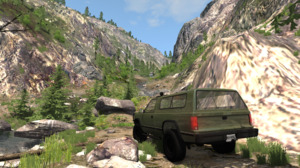 Detailed, difficult and long off-road - you have to try it! 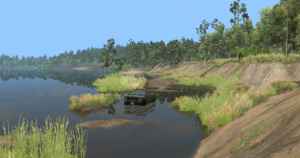 Large swamps - perfect for offroad! 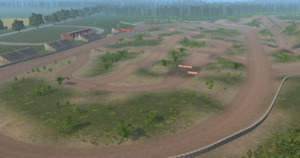 Dirt track with a lot of configurations and Derby Arena. 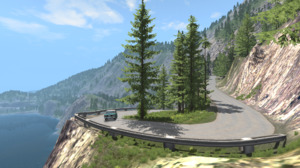 A lot of realistic mountain roads - perfect for everything! -Map is very AI friendly! If you have 8 GB RAM - This mod is just for you! And here is video that will show you something about American Road map! 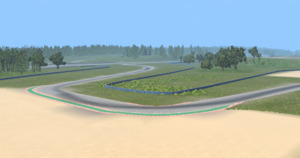 I am the only author of this map, but I "borrowed" some resources from "Tennessee USA Roane Country" map, and some TopGear racetrack textures from "Dunsfold Aerodrome (Top Gear Test Track)". If you found any bugs on my map - please inform me, and I will try to fix it. If you have any suggestions what can I change or what can I add to American Road map - please inform me! Tebon_Smite, Def2004, igna338 and 29 others like this. With traffic tool this is best map of all, 6 AI cars makes nice realistic kind of traffic density and you can spend hours playing cop. Roads are enough long that you don't feel like going in loop, but you don't need to stop at intersection every minute and can just keep driving. Map runs really well with 6 AI cars, even at night and AI behaves really well. 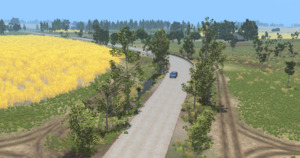 With drawing distance issue of trees gone immersion is really good, roads have nice flow and most have realistic inclines. 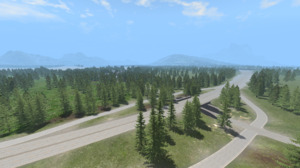 Between Italy and this map, I would choose this one for driving, especially with traffic tool AI. This map is amazing!! It is so fun to drive on. This should become an official map. This took a long time to make diden`t it! This isn't a map where you drive with 34 cars. But only one or 2, you don't spend time crashing, but exploring. Very nice one. This is just one of the very best maps you can download. there are long straights offroad areas and a long crazy mountain road you can't really ask for more. Probably my favorite map ever created. Keep up the great work! Unsurprisingly, slightly laggy on my PC, but a small price to pay for the overall quality and size of the map. Great job!